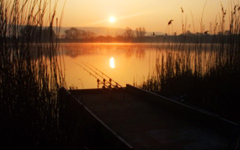 Medway Valley Fisheries was founded in 2004 after the founders had been involved in the running of various clubs over the years. They wanted the opportunity to develop the best possible fishery and as discerning anglers themselves who enjoy all aspects of the sport and respect both fish welfare and the environment... MVF was born. MVF aim to create fisheries where quality anglers whether able bodied, junior or disabled can really enjoy both their surroundings and the friendly atmosphere whilst pursuing their passion. Membership is strictly limited to ensure that the lakes are never crowded and that you will always have a wide choice of swim. 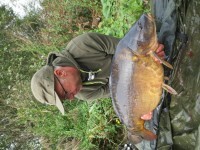 The latest fish landed by one of our members. Click here to see our waters.